Alice counted the days till Christmas all month long. 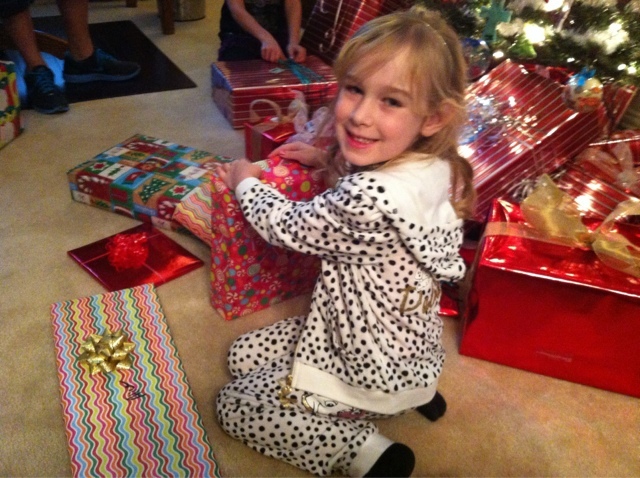 Christmas this year was in Dallas ( as usual ). 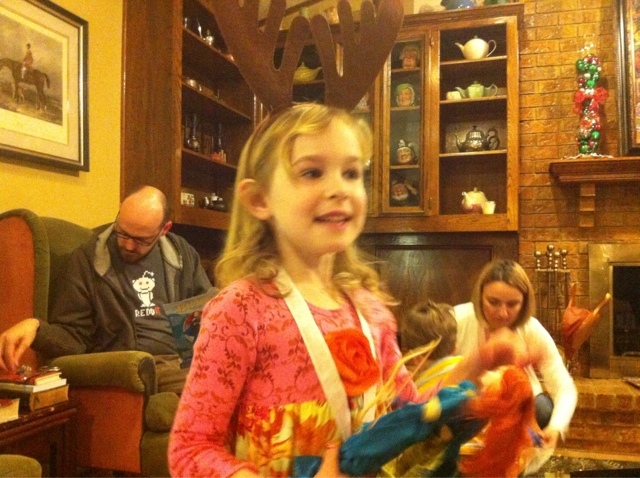 We drove in early on Sunday December 23rd and had our Meadows Christmas that evening. 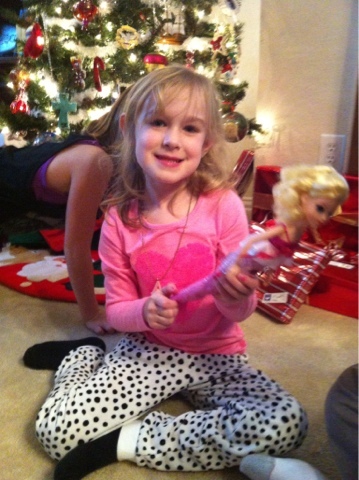 Alice got a new Cinderella wedding dress, a princess doll, a Dalmatian sweat suit, and a few My Little Ponies. 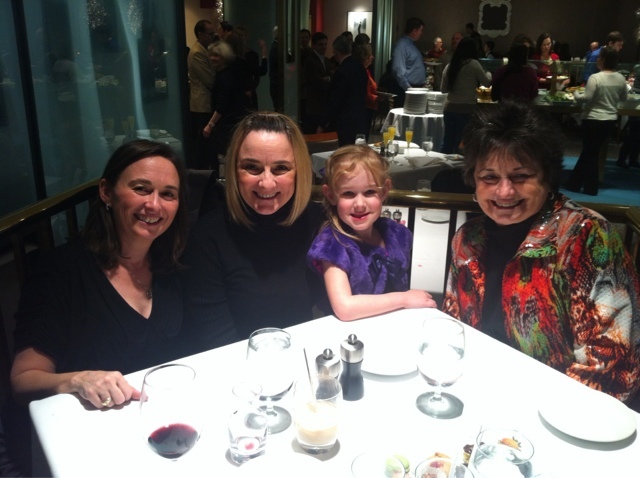 The next morning was our annual Christmas Eve trip to the downtown Neiman Marcus for shopping and lunch. Alice came with us this year and was a lot of fun. She got to sit on Santa's lap and got pictures. This was the first time for Alice to do this. 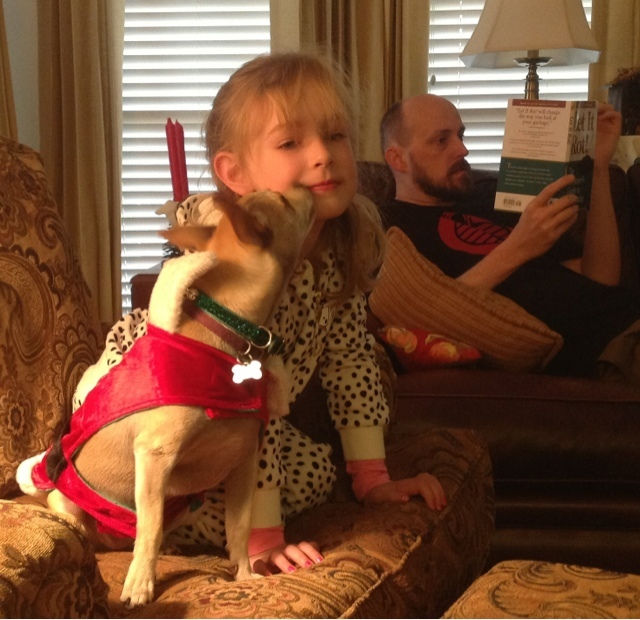 We never pushed her to do this and she always shied away when we asked if she wanted to sit on Santa's lap. She was all for it this year though. We ate lunch at the zodiac room, just mom, Aunt Papa, Didi and Alice. Alice ate really good and talked with the girls the entire lunch. She asked us to tell stories about when she was a baby and to relate stories about when we were kids. She asked Patra "tell me a story about when you got a spank" and Aunt Papa said, " hmmmmm, where to start". After lunch Alice got to traverse the holiday tunnel they had set up for the kids and do a little shopping. We headed back to Gammy's house after we were done to get ready for Santa's arrival that evening. Later, Alice set out cookies she had decorated herself and a glass of milk, and she anxiously went to sleep. Christmas morning, Alice woke bright and early. Santa had brought more Little Ponies and a few other presents. Alice got a lot of presents.....an iPad mini, more leap pad games, the scooter she had been waiting for, Mother Gothel and Flynn Rider, a swimming mermaid, some crafts and puzzles, and other things I can't even remember. Another successful Christmas has come and gone. The day after Christmas Alice asked " how many days till my birthday?"